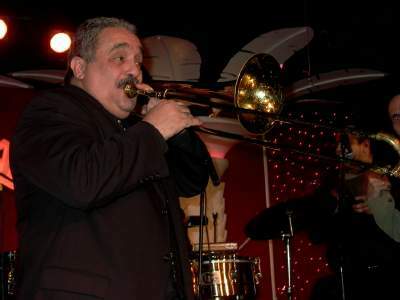 Willie Colon and his Orchestra played at the Copacabana Nightclub in New York City on February 8, 2005. 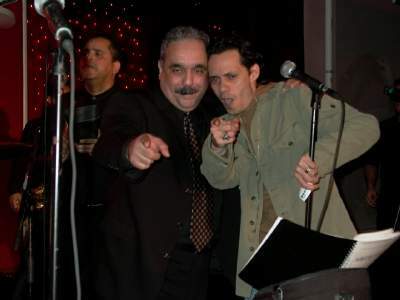 Puerto Rican singer Marc Anthony joined him on stage. Marc was at the Copa with his new wife Jenifer Lopez. Also the Copa Girls were on hand to excite the audience with their dance moves. These photographs were taken by J. Fernando Lamadrid on February 8, 2005 and are copyright 2005 www.justsalsa.com. All rights reserved. Your feedback is welcome. Enjoy! Copyright © justsalsa.com 2005 NYC. All Rights Reserved.